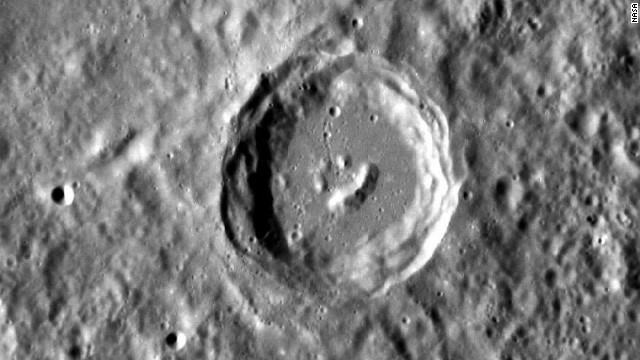 "It looks like even the craters on Mercury have heard of Bob Ross! 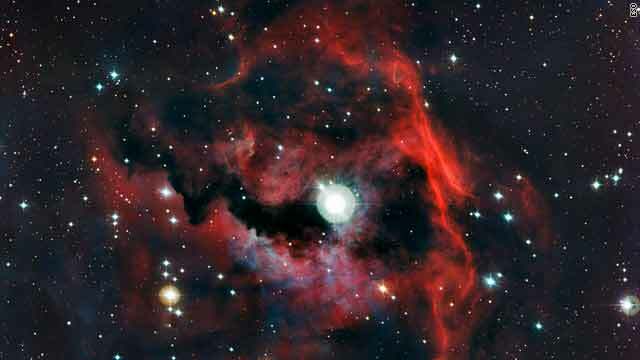 The central peaks of this complex crater have formed in such a way that it resembles a smiling face. This image taken by the MESSENGER spacecraft is oriented so north is toward the bottom. The MESSENGER spacecraft is the first ever to orbit the planet Mercury, and the spacecraft's seven scientific instruments and radio science investigation are unraveling the history and evolution of the Solar System's innermost planet. Visit the Why Mercury? section of this website to learn more about the key science questions that the MESSENGER mission is addressing. During the one-year primary mission, MESSENGER acquired 88,746 images and extensive other data sets. MESSENGER is now in a yearlong extended mission, during which plans call for the acquisition of more than 80,000 additional images to support MESSENGER's science goals." "A Space Exploration Technologies (SpaceX) Dragon spacecraft splashed down in the Pacific Ocean at 3:22 p.m. EDT Sunday, Oct. 28, 2012, a few hundred miles west of Baja California, Mexico. The splashdown successfully ended the first contracted cargo delivery flight contracted by NASA to resupply the International Space Station. 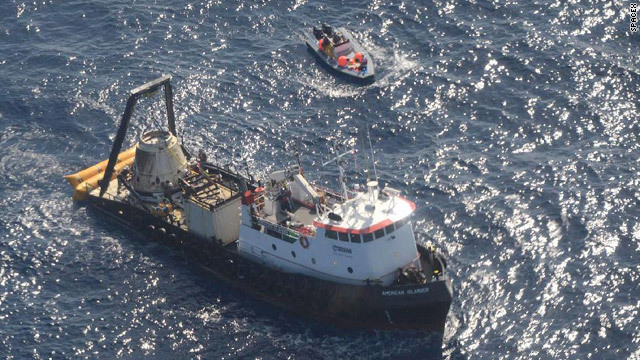 The Dragon capsule will be taken by boat to a port near Los Angeles, where it will be prepared for a return journey to SpaceX's test facility in McGregor, Texas, for processing. Returning with the Dragon capsule was 1,673 pounds of cargo, including 866 pounds of scientific research. Not since the space shuttle have NASA and its international partners been able to return considerable amounts of research and samples for analysis." 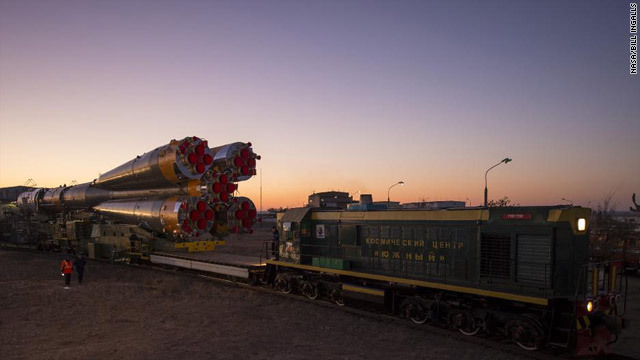 "The Soyuz rocket is rolled out to the launch pad by train, on Sunday, Oct. 21, 2012, at the Baikonur Cosmodrome in Kazakhstan. Launch of the Soyuz rocket is scheduled for Tuesday, Oct. 23. 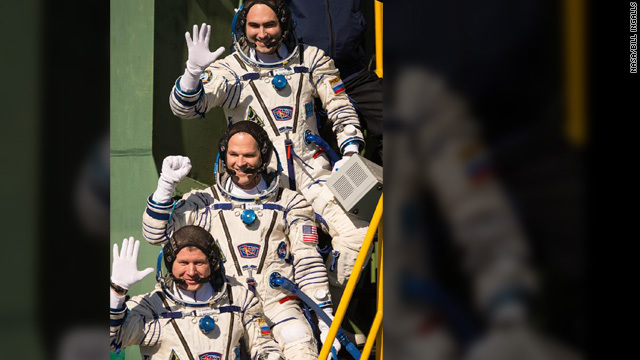 The rocket will send Expedition 33/34 Flight Engineer Kevin Ford of NASA, Soyuz Commander Oleg Novitskiy and Flight Engineer Engineer Evgeny Tarelkin of ROSCOSMOS on a five-month mission aboard the International Space Station." "This image from the right Mast Camera (Mastcam) of NASA's Mars rover Curiosity shows a scoop full of sand and dust lifted by the rover's first use of the scoop on its robotic arm. 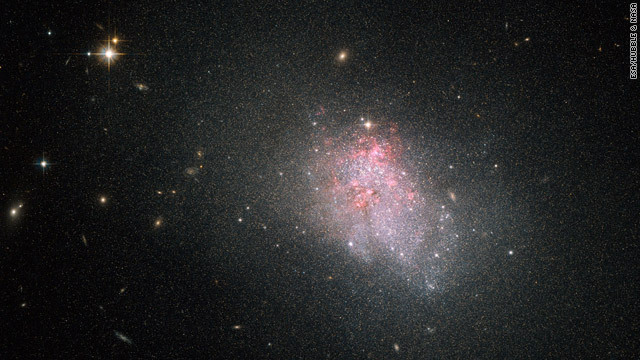 In the foreground, near the bottom of the image, a bright object is visible on the ground. 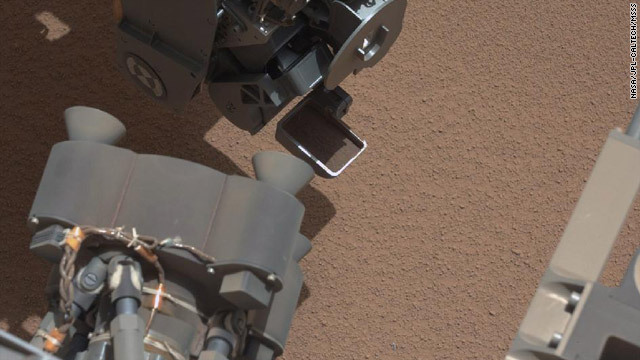 The object might be a piece of rover hardware. 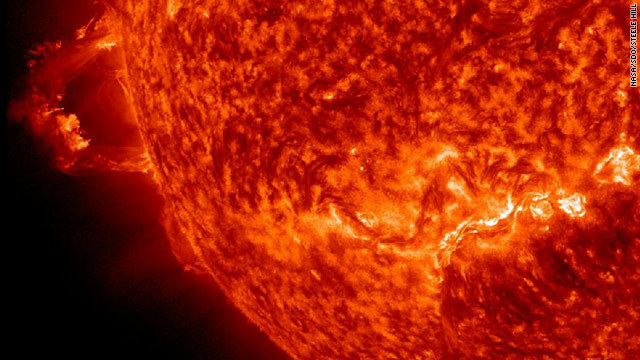 This image was taken during the mission's 61st Martian day, or sol (Oct. 7, 2012), the same sol as the first scooping. After examining Sol 61 imaging, the rover team decided to refrain from using the arm on Sol 62 (Oct. 8). 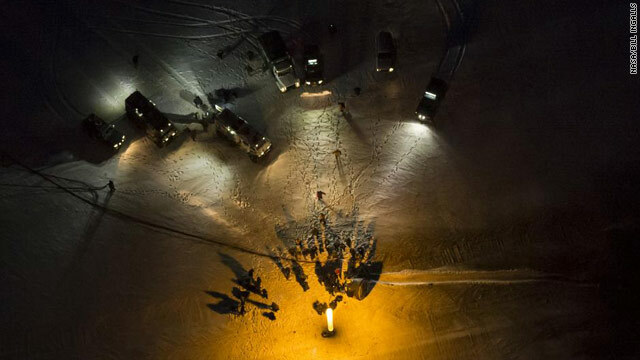 Instead, the rover was instructed to acquire additional imaging of the bright object, on Sol 62, to aid the team in assessing possible impact, if any, to sampling activities. For scale, the scoop is 1.8 inches (4.5 centimeters) wide, 2.8 inches (7 centimeters) long."